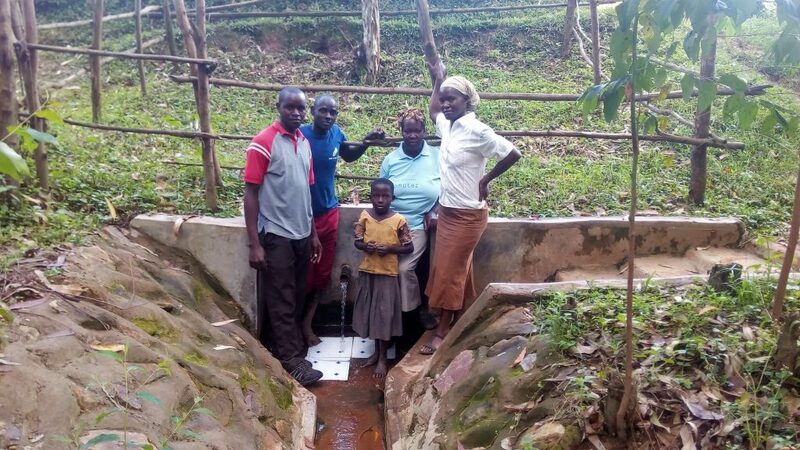 A year ago, generous donors helped build a spring protection and sanitation platforms with the community near Hanington Mulanda Spring in Western Kenya. Because of these gifts and contributions from our monthly donors, partners can visit project sites throughout the year, strengthening relationships with communities and evaluating the actual water project. These consistent visits allow us to learn vital lessons and hear amazing stories – we’re excited to share this one from our partner, Wilson Kipchoge, with you. As you enter the compounds of many households, you will see a cleaner environment and better sanitation facilities. 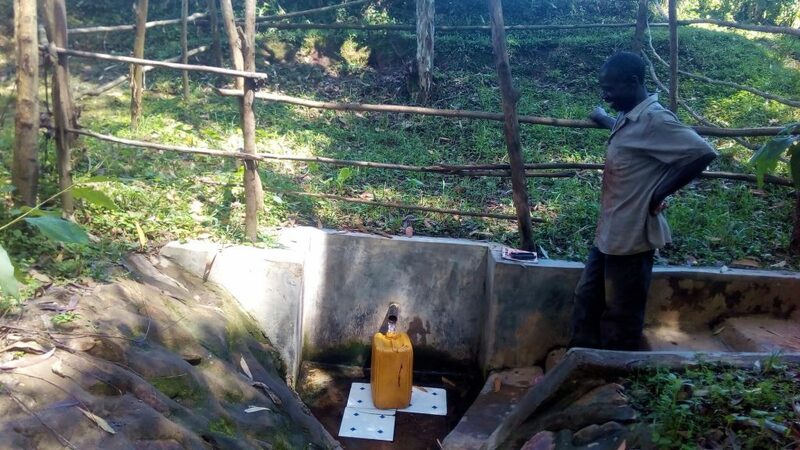 All these changes are attributed to the community health volunteers training that was held during project implementation and provision of sanitation platforms and the protected spring. People of Hanington Mulanda spring are hard working as they engage themselves in farms to cultivate them. 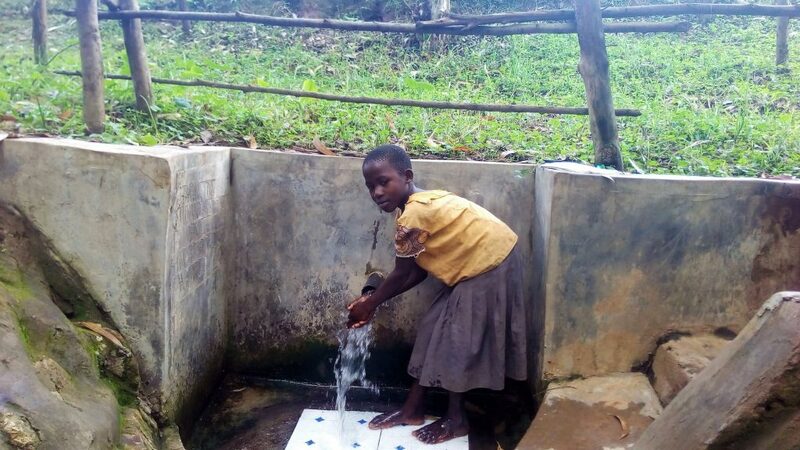 They now have access to safe clean drinking water and a cleaner environment. 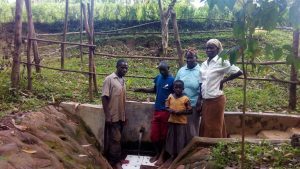 The community needs to stay informed on the need to maximally secure their water through treating it. Management of their spring also needs to be regularly checked to avert any arising issues. The staff will be carrying out regular monitoring and evaluation to give any required recommendations and actions. When you invest in The Water Project, you're investing in people like Hanington Mulanda. Your gifts help us reach more communities with the gift of clean, safe water. And every drop helps unlock potential.